Today we had the privilege of delivering 14 shoe boxes, bags of soft toys and clothing and a box of books for kids to be distributed to the needy in Táp and the surrounding villages. The ladies group put together seven shoe boxes on Friday morning and the youth group put another seven boxes together Friday morning. 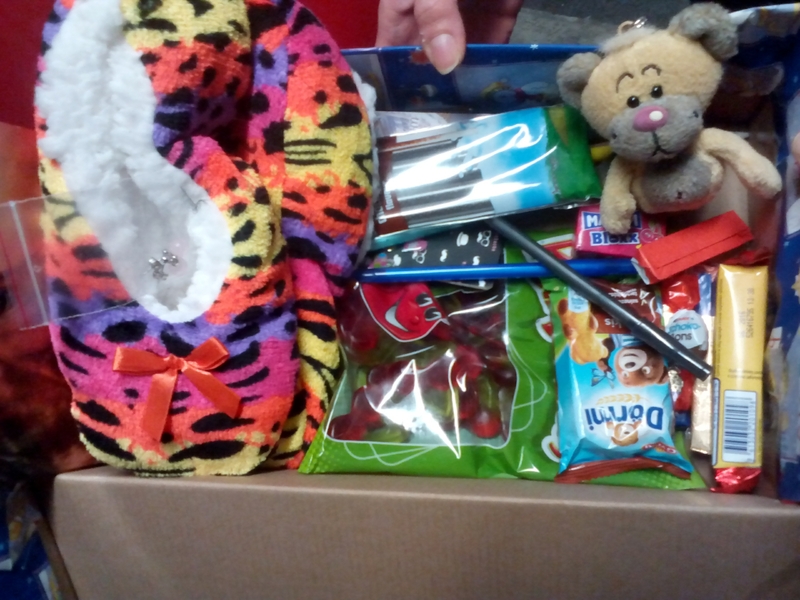 Each box contains goodies such as chocolate, a soft toy, a mug, pencils, hats, slippers and scarves. Those who receive these gifts are likely to get little if anything else for Christmas. Pray they would be blessed and that the giving of these small gifts would open their hearts to the greatest gift of all! Today we went to the orphanage to hold a Christmas service for the kids. What an honour to present the Gospel to these kids! Nine of the twelve kids were present and we enjoyed singing worship songs, a drama presentation, prayer and the giving of gifts. Afterwards we had some really meaningful chats with the kids. One of the older boys (L – 17 years old) and Gerry talked for a good twenty minutes. Please pray that this will open the door for further conversation in the future. We are grateful to so many people. 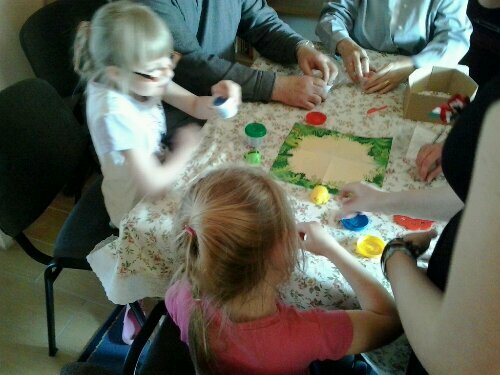 Financial support from a kids group in New York, local fellowship folks who made beautiful cards with Bible verses and donated soft toys, and you all for praying for these kids! Our prayer is that all these kids will know the truth and be set free!!! 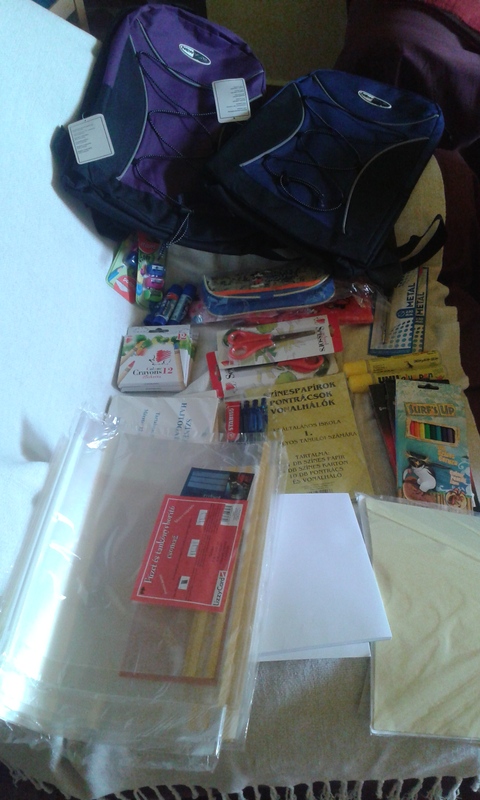 Csilla has just started university in Veszprém this week. Zsuzsi and Katica are starting tomorrow. 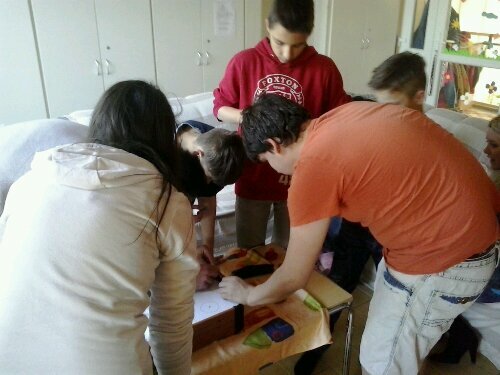 It is Zsuzsi’s third and Katica’s first year in high school. 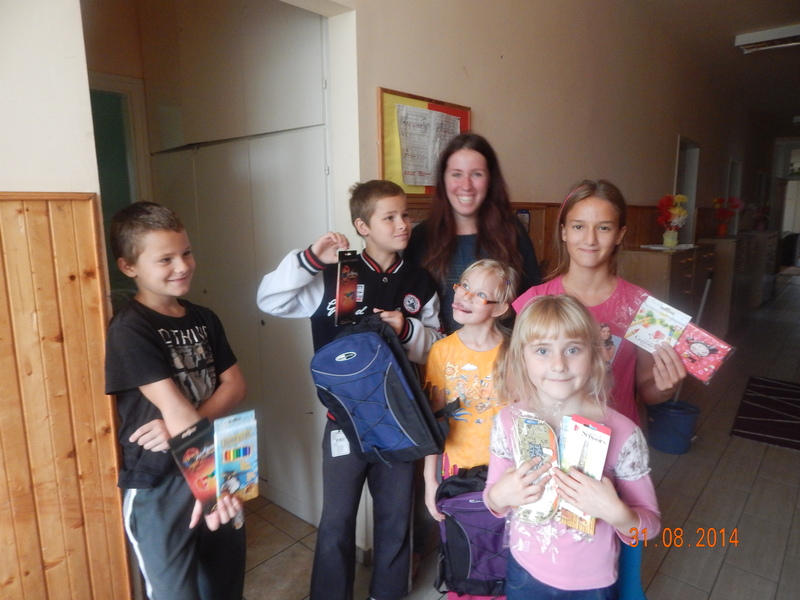 Please pray for a great school year for them and the other students. 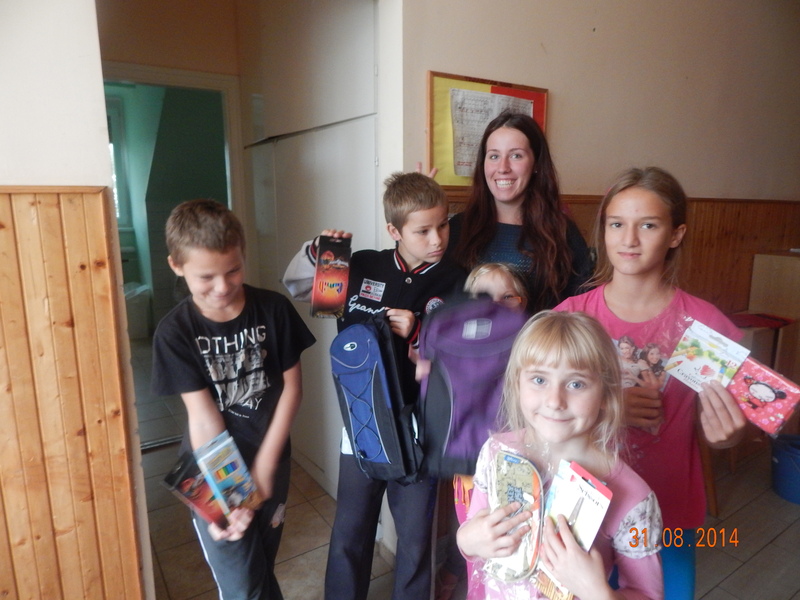 Today Zsuzsi, Katica and I delivered the school supplies, some food and other essencials we purchased for the childrens home. 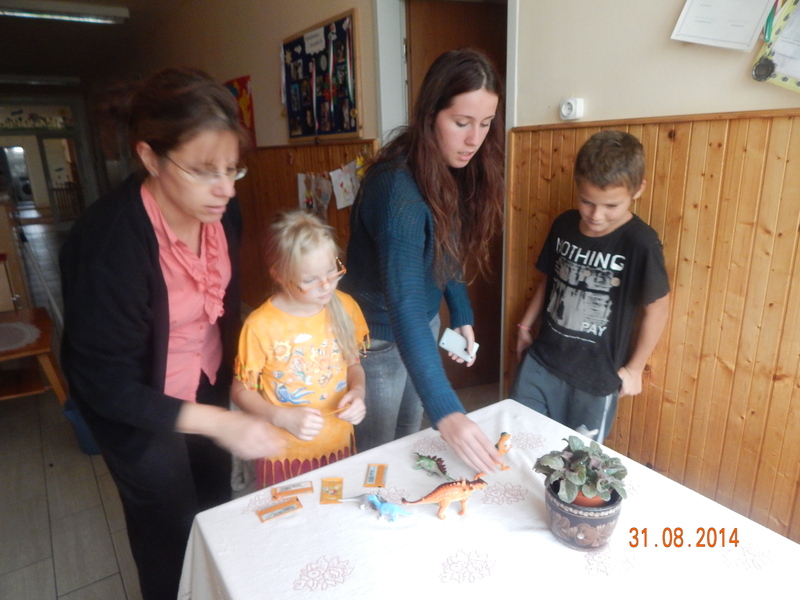 The social workers and the children were very thankful. Please continue to pray as I (Kathy) begin helping some of the children and maybe a staff member with their English at the home. Blessings from the McNamara family! 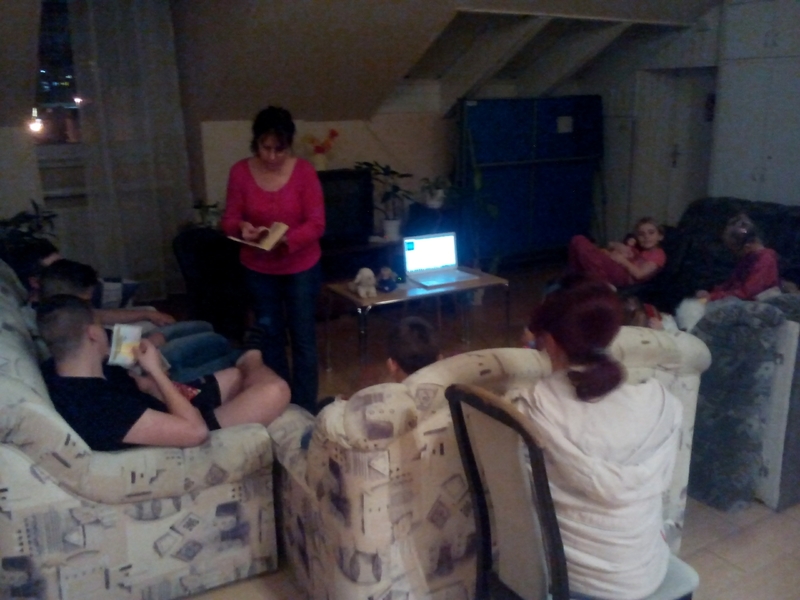 Today we had the honour of serving kids who are living in a state home. Most of these kids are permanent residents as their parents are in prison, addicted to alcohol or drugs or deemed unsuitable to take care of their children for some reason. Thanks so much dear friends for providing the support so we could bless these little kids who are so precious in His sight!